Drone needs training of maneuvering skills! Drone tends to think “easy to navigate”. Surely those who have piloted a certain degree of commercial drone such as Phantom 4 know that you understand, but anyone can do it if you want to skip drones. There are a lot of things you have to be careful about handling drone body, propeller, propo etc. For that, it is necessary to improve the drone maneuvering technique every day. Before that, if you have a purpose such as “I want to take a beautiful aerial photograph,” “I want to use a drone for business”, training is required. In this time we will introduce some points that Hobby Dronne who is less than 200 g is better than the commercial drone about the progress of such a drone’s maneuvering technique. Part 1: Hobby Drones are more difficult to navigate than Commercial Drone! Hobby drones are more difficult to navigate than commercial drones such as Phantom 4. You can understand this if you actually pilot. · Can you fly autonomously? It will be the border. Hobby Dronne does not have the function of hovering autonomously. If it is for commercial use, once it is floated, if the operation that is stopped automatically in the air is also a hobby droning, do not always operate with the controller There is no doubt. And keep on making “hovering” on the spot, it is quite difficult. Let ‘s make it the first goal to continue to skip drone without dropping it once in Hobby Drones. If it is less than 200 g of Hobby Dronne, it does not apply to “Drone” defined in the Aeronautics Act, so you can skip drone, especially without being restricted by law. This is a great merit, and it is hard to find the practice place if it is a drone weighing more than 200 g.
Especially beginners have no knowledge or experience, so you will not know what is the correct answer and what is no mistake. And if you carelessly skip a drone that you should not skip over in places you should not skip, it will be subject to “punishment”. I can not stop doing things I did not know. If it is a hobby drone, you can practice well if you aim at a time when there is little traffic in a widely spread park. However, even though it is not restricted by law etc., drone fly in the sky and hobby drones crash easily, so let’s practice so that the third person never inconveniences! 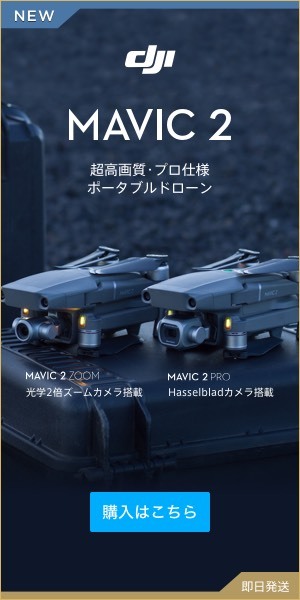 In the case of parks such as Tokyo and Osaka, there are also places where drone flying is prohibited even under 200 g.
Rather than drones banning, “flying objects” themselves may be caught in the ordinance of the park, so let’s check firmly whether you let it fly at that place. Even at this site the first one is suddenly not more than 100,000 yen for commercial use, we recommend Hobby Dronne, but improve the technology with an airframe that has a habit of touching the drone in the first place feel free to touch it at first You can operate drone quite steadily when you move to a commercial drone. As for my experiences, when I first operated with Holy Stone’s Hobby Drones, I handled a lot of handling and setting, but I was deeply moved by the operability when I bought Phantom 4. Personally I think that those who practiced hard at Hobby Droning once from the top species such as Phantom 4 will acquire the foundation of a solid drone maneuvering.